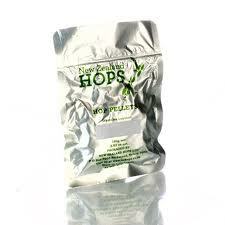 New Zealand: Taking the hops out of beer? Are they crazy? New law could water down definition. The brewing industry is hopping mad at a proposed law change that would have changed the definition of beer to no longer require hops. “I was flabbergasted,” said New Zealand Hops chief executive Doug Donelan in Nelson when he learnt of the amendment to the Alcohol Reform Bill which is being debated by Parliament through the committee stages. Nelson MP Nick Smith came to the rescue yesterday, telling Justice Minister Judith Collins hops needed to be retained in the legal definition of beer. He said he had been inundated with messages from brewers, beer drinkers and hop growers who were aghast that the definition of beer was to be watered down. The proposal to water down the definition of beer came from officials wanting a less prescriptive definition for beer in case new products were developed without hops, he said.